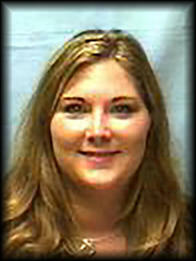 Stephanie is a commercial and business banking relationship manager with Fifth Third Bank in Cincinnati, Ohio. She has over 19 years of experience in the commercial banking industry. Her expertise is providing banking solutions for real estate acquisitions, development, and investment. In her current position, Stephanie is responsible for handling the overall commercial banking needs of privately held companies. She as a trusted advisor to her clients and their families. Stephanie’s goal is to assist business owners in choosing financial solutions that are consistent with both their short and long term goals. She can offer a wide range of depository and lending solutions for any industry by utilizing her banking experience and business knowledge. Stephanie graduated from Wright State University with a bachelor’s degree in economics, with a concentration in Finance. Stephanie was born and raised in Cincinnati, Ohio. She was a Board Member of CREW (Commercial Real Estate for Women in Greater Cincinnati) for six years. Stephanie is currently the Treasurer of NAIOP (the Commercial Real Estate Development Association). She also enjoys mentoring other relationship managers and lending a helping hand for the good of the customer(s) and employee(s).